They had a great view while it lasted. 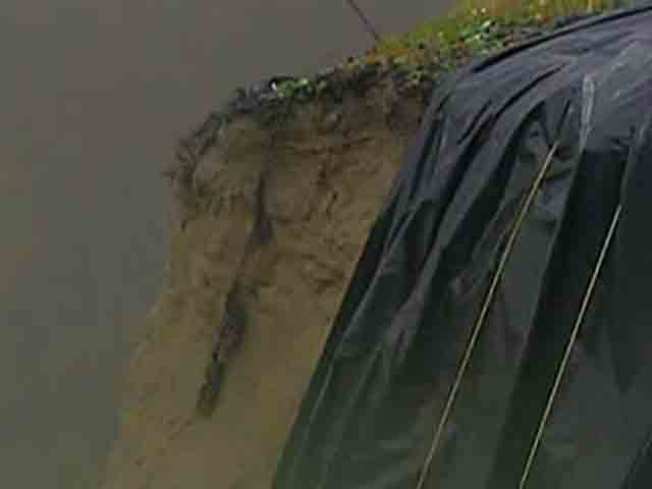 But many, if not all of the people who live at 330 Esplanade Ave. in Pacifica knew their days were numbered because of the eroding cliff behind their homes and Thursday their number came up. 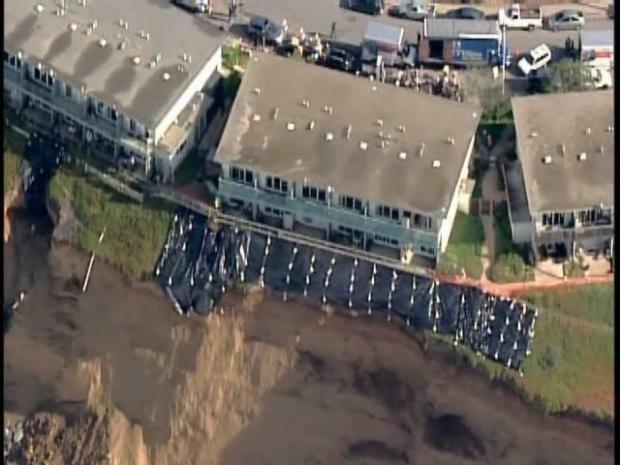 Officials told everyone in the apartment complex to get out by 5 p.m. Thursday because the hillside was a risk of falling and they are no guaranteeing they will ever be able to return. The order came after a chunk of earth fell from the cliff to the ocean below at 5:30 a.m. Neighbors say it was 30 feet wide. They lived on a beautiful ocean hillside until erosion made their homes no longer safe to occupy. Pacifica Chief Building Official Doug Rider told Bay City News there is concern the complex may be next. "The building is not sliding into the ocean yet," he said. "(But) the tenants are getting their stuff and packing up and getting out." Two nearby buildings are also being watched by officials, but they are not yet being order out.